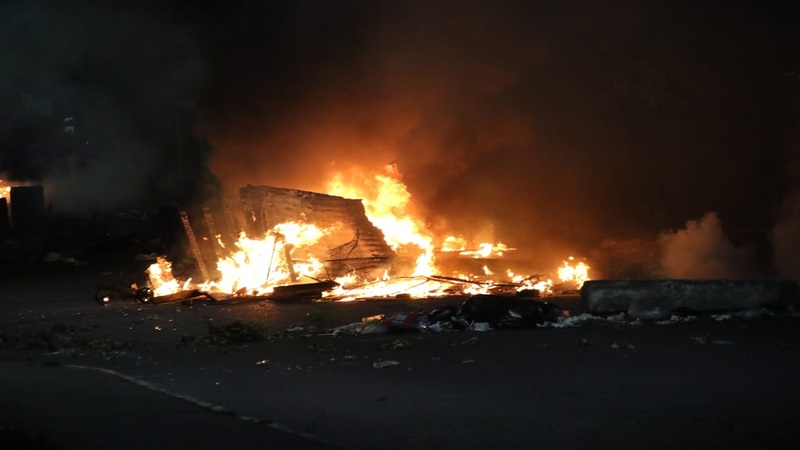 Debris on fire during a protest in Swallowfield on Tuesday night. 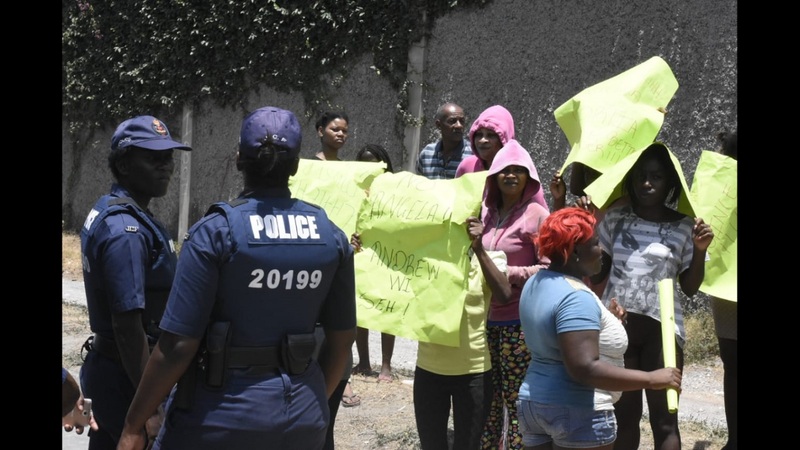 Police clashed with residents in Swallowfield, St Andrew on Tuesday night amid continuing unrest over the fatal shooting of a 17-year-old by the law enforcement officers the previous night. 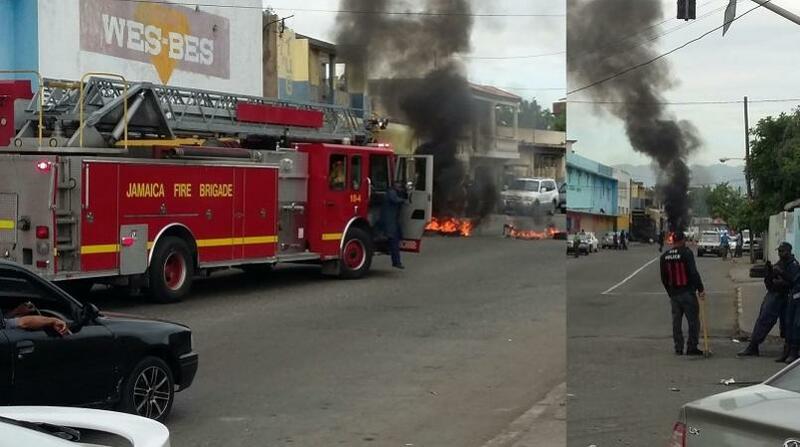 Gunfire could be heard as police sought to quell the fiery protests which reportedly led to at least one motor vehicle being burned and the attempted firebombing of a police station earlier in the day. The residents are protesting the shooting death of Cee Jay Lake of a Old Hope Road address. Police report that Lake was fatally shot during a confrontation with lawmen and a homemade firearm with one .38 round was seized. 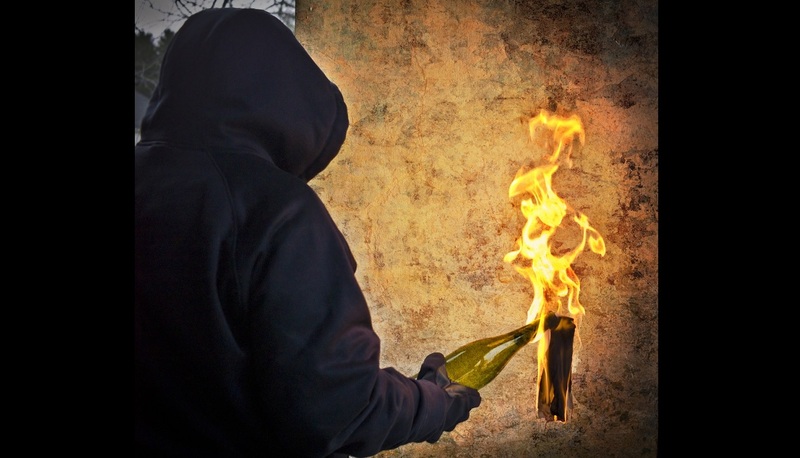 It was reported that there was an attempted firebombing of the Stadium Police Station along Arthur Wint Drive in St Andrew on Tuesday morning. Loop News was at the scene of the protest. Watch the clip below.